I haven’t done a favorites post in a while, so I decided better late than never! I rounded up my favorite products I’ve been using the past two months. Some are beauty and some are makeup but they all will helped me achieve a glamourous and natural look with my busy schedule. Let me know if you like any of these products too and give me some tips on what to pick up next. 1. You guys know I have an obsession with the YSL Pink Caress lipstick, but I think I found a dupe to use on the daily. I picked this cutie up at MAC a few weeks back and I have used it almost everyday since. With one swipe you get a pretty warm pink hue, but it is buildable up to a warm and sparkling pink that makes for the perfect natural fall lip. Plus, who doesn’t love a MAC lippy? The formula is perfection and it tastes like vanilla… total win win! 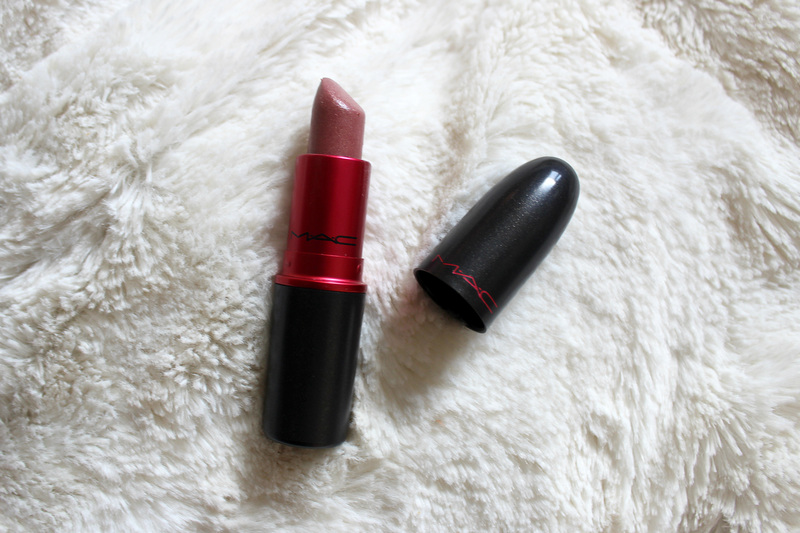 MAC – Viva Glam V $16 2. I use my Beauty Blender every single day for multiple products. I was having a hard time figuring out how to keep it clean, then boom! I spotted this at Sephora. It’s pretty much a bar of soap that you swipe your sponge across it then run the sponge under water and squeeze. I am not kidding when I say a waterfall of makeup falls out of the Beauty Blender. I decided to try it on my regular brushes and guess what? I got the same result! It now only takes me 10 minutes to clean my brushes instead of the usual 30! Definitely worth the money. 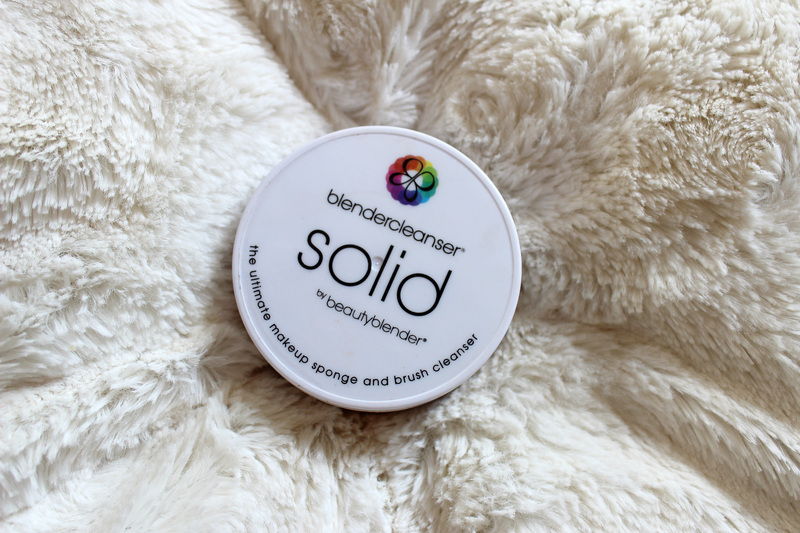 Beauty Blender – Blender Cleanser Solid $15.95 3. I bought this as a shadow primer, but like many other people I realized it looks beautiful on its own. It’s a highly pigmented “champagne” primer, but to be honest I think it’s more of a rose gold. When I’m in a hurry and I just want my eyelids to have a nice touch of color and shine, I rub a small amount of this on my eyelids. If I have a little extra time, I will add a darker shadow to my crease to make my eyes pop. Too Faced – Shadow Insurance “Champagne” $20 4. I think I sound like a broken record when I say I have dry skin. I’ve started using this in place of lotion when I get out of the shower. When your skin is still damp, you just apply it like you would lotion or coconut oil. It dries insanely fast and has no scent. Because it is 100% light sesame oil, it helps lock in your skins natural moisture. If your not patient enough to let your skin naturally dry after applying, just gently dab you skin with a towel until dry. 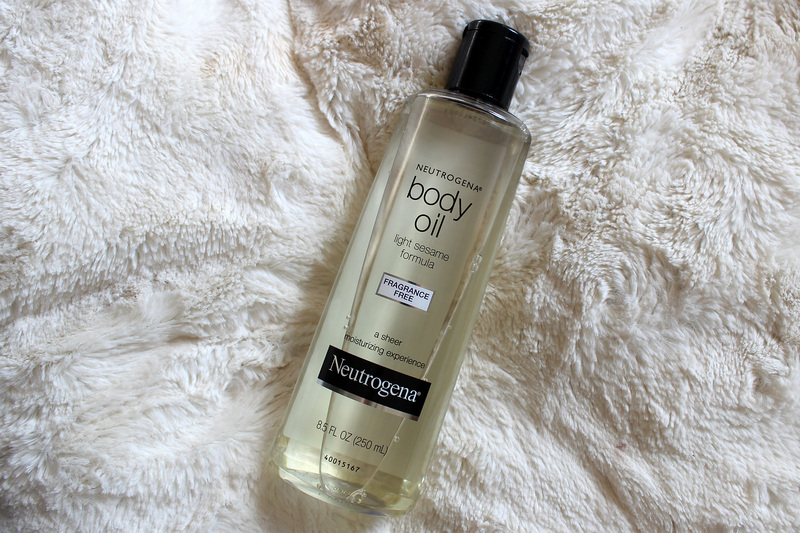 Neutrogena – Body Oil Light Sesame Formula $9.99 5. Okay, so I’m not going to talk about these little buddies too much. Just know that they are wonderful. 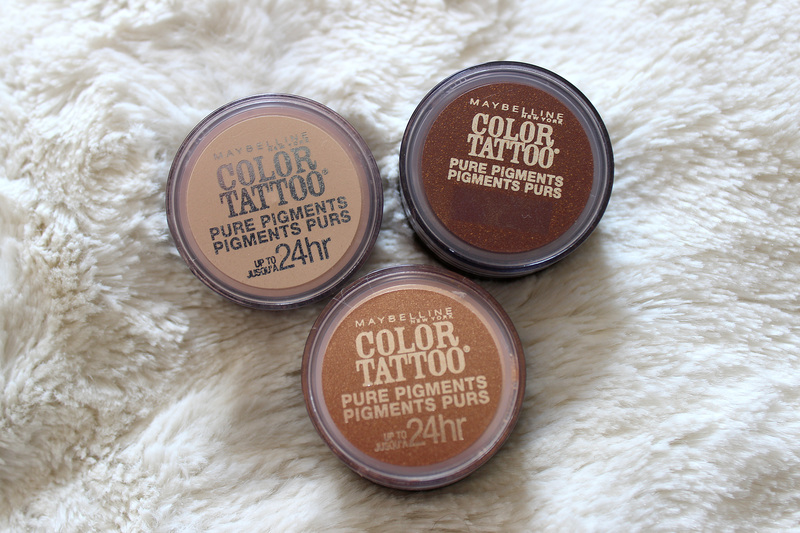 They are a highly pigmented powder shadow that can be used many different ways. 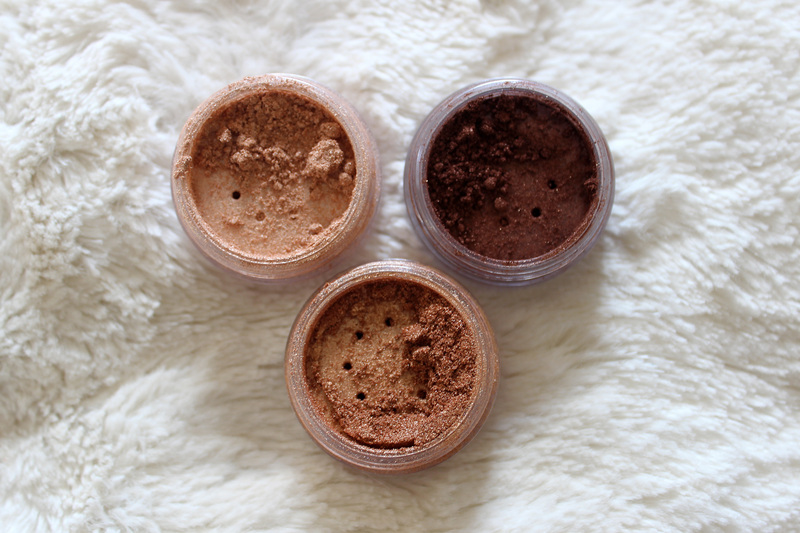 The pigments themselves are very inexpensive and are a recent staple in my makeup routine. If you want to know my favorite way to use these, check out my post on SarahSarna.com tomorrow morning! Trust me, you don’t want to miss it. Posted in Beauty and tagged barely brazen, beauty blender, beauty cleanser, body oil, breaking bronze, champagne, color tattoo, Eye Shadow, Favorites, improper copper, Lipstick, lustre, MAC, MAC Cosmetics, Maybelline, Neutrogena, october favorites, pink caress dupe, pure pigment, sesame formula, shadow insurance, solid, too faced, viva glam v, viva la glam, ysl dupe. Bookmark the permalink.